Small businesses are the cornerstone of America, so it’s important to give back to your local communities by supporting your local small business. Kabbage asked small businesses owners how they support their communities. As a small business owner, how do you give back to your local community? “As a small business owner, I believe that every company should give back to the community. At Bookmark Website Builder Inc., we donate a portion of every sale to clean water projects; which we believe enabled communities to grow stronger. We have adopted this cause as a company, many of our employees have rallied behind this as well. We are proud to be a small part in making the world a better place.” – David Kosmayer, Bookmark Website Builder, Inc.
“Our company is very active in Habitat For Humanity. I believe philanthropy solidifies our company values. 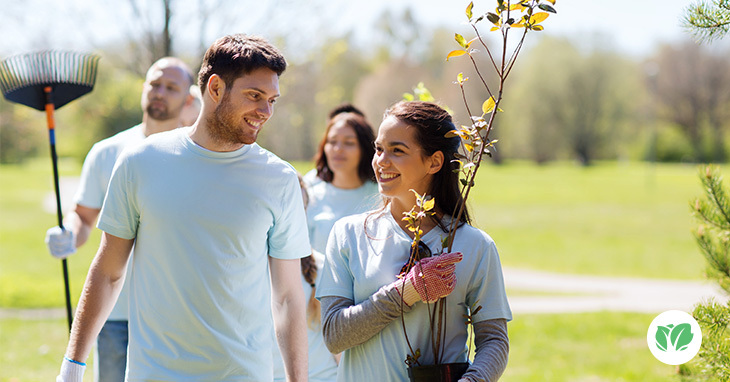 Volunteering has also helped our employees connect with the outside community while working on HFH projects. I believe ongoing philanthropy not only strengthens these core company values, it becomes a part of your company culture.” – Brad Shaw, Dallas Web Design Inc.
“Although we’re a virtual firm (our entire team telecommutes), we like to encourage employees to get involved in their local communities by offering a certain number of annual paid work hours they can use to help a local nonprofit because they feel passionate about. Our team members have helped with food drives, community fundraisers and more. Our firm offers significant discounts to local nonprofits we work with (such as a nearby chapter of the Military Order of World Wars), ranging from 20 percent to 75 percent off our standard campaign prices.” – Erika Montgomery, Three Girls Media, Inc.